In celebration of Hispanic Heritage Month, Patricio Acevedo and the band “Cotopaxi” performed for the TPS community during Encuentro this past Friday,. 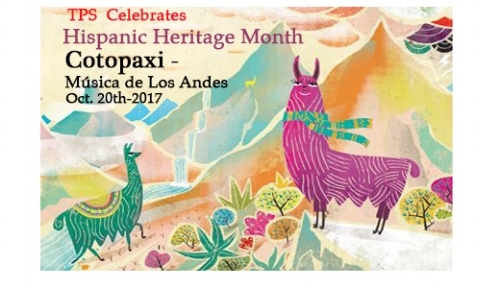 Cotopaxi presented music and instruments from Quechua-Inca culture. Cotopaxi is originally from the highlands of the Andes Mountains in South America, a region where our 8th grade class will visit in March during their trip to Ecuador.